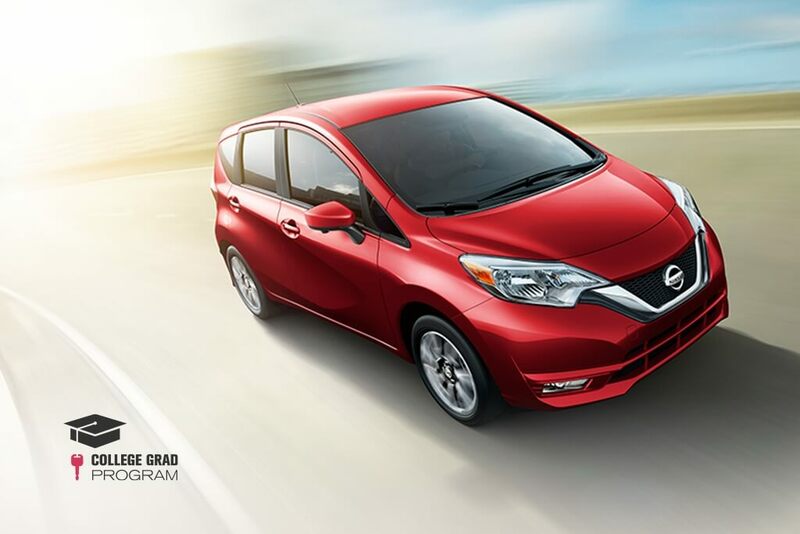 With the Nissan College Grad Program, we’ve made it possible for you to save like a Finance major. The program is quick, easy, it can save you money, and we’ll help you combine it with other current Nissan incentives for maximum savings. Now show your parents how SMART you are! Eligibility Requirements: Prices DO NOT include Destination and Handling charges, RMP assessments, Dealer Documentation Fees, sales taxes, etc. Qualifying accredited schools include two or four year universities, colleges, or graduate and nursing schools in the United States.